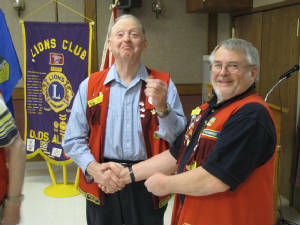 On September 06, 2011 Lion Gill Connelley is presented with his 100% Presidents Pin by Lion Fred Walters. 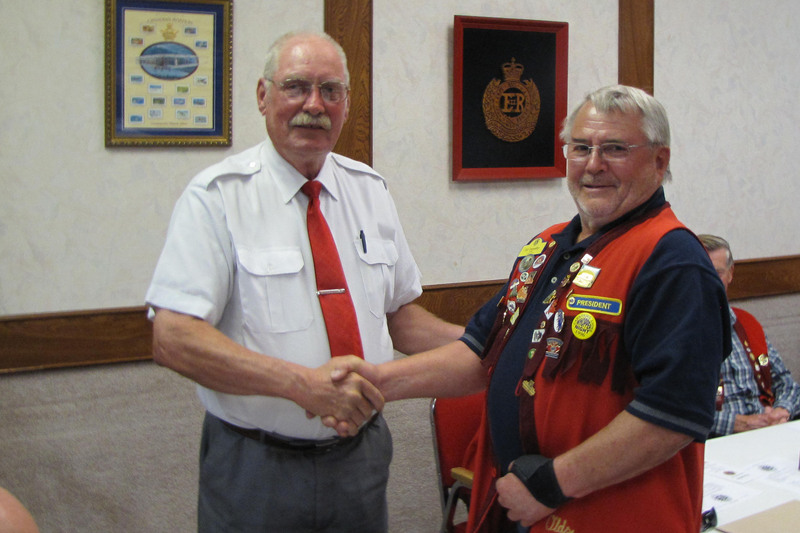 The pin was well earned. 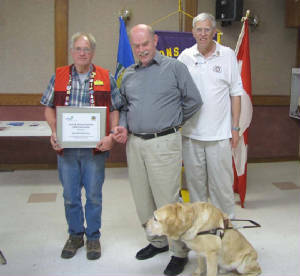 Congratulations Gill. 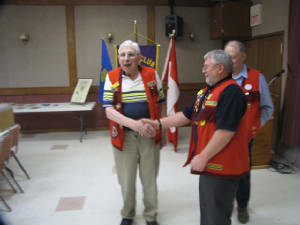 Lion Ian Douglas receives a Melvin Jones Fellowship on April 20, 2010. 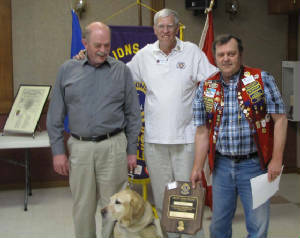 A proud Dan Nielson receives his 40 year pin from Lion President Gil Connolley on April 20, 2010. 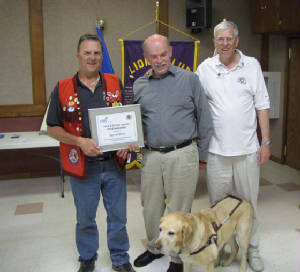 Lion Willy Thompsen receives his 40 year pin from Lion President Gil Connolley on April 20, 2010. 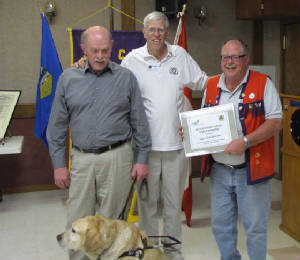 From top to bottom Lions Richard Ley, Howard Wright, Con Sherwin and Art Birch receive Jack & Denise Isaman CNIB fellowships for their hard work helping the blind. 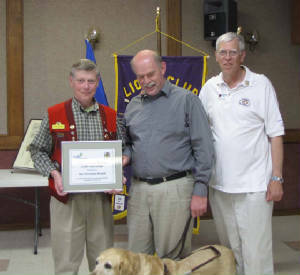 The presentation was made on April 20, 2010.